The Panasonic PA122W robot cell welds SUV seats for a major automotive manufacturer. There are two TA1400WG robots with a servo headstock/tailstock positioner. 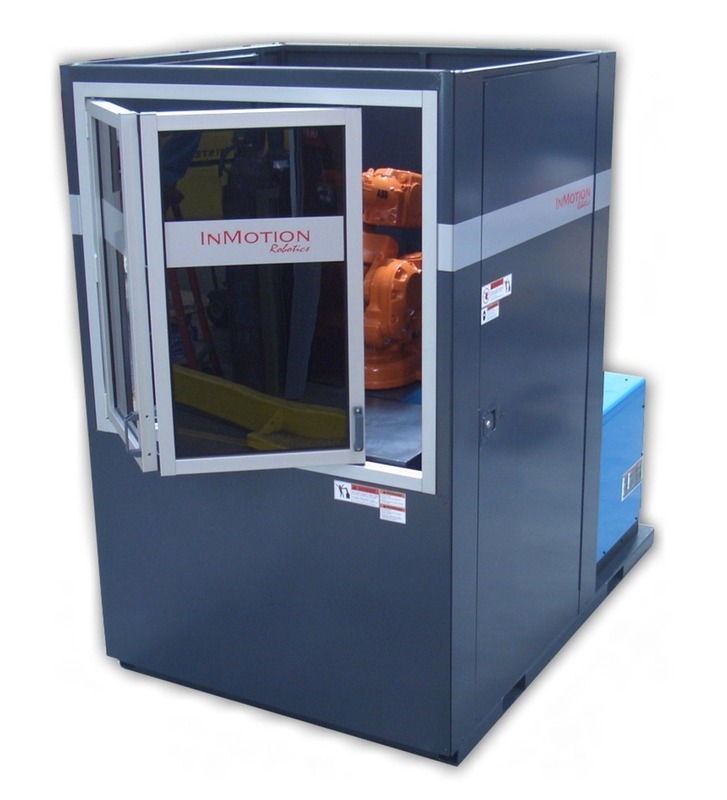 The custom designed tooling has part present sensors along with cylinder reed switches to insure that all parts are loaded and the fixture is properly clamped. Arc data monitoring is used because, as an automotive safety component, weld quality is critical. • Reduced cycle time with two robots welding simultaneously. • Weld data monitoring to detect weld faults. • Allowed additional product with minimal increase in manpower.